For Margarita Zelada, that living experience does not include her family or friends. She is locked inside and not allowed visitors. Family says phone calls are often restricted. Visitors for Margarita are denied entry into the facility. Staff threaten to call police when advocates request to to check on Margarita. 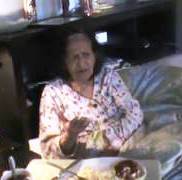 Around noon on October 20, 2013, elder advocates Dr. Robert Fettgather and Linda Kincaid attempted to visit Margarita Zelada at Del Rey Oaks Senior Paradise. 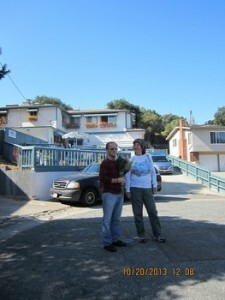 Fettgather and Kincaid arrived with flowers, strawberries, and chocolate. Senior Paradise had doors locked (with three locks) in violation of 22 CCR 87468(a)(6). Margarita was not allowed to leave the building, which is a violation of 22 CCR 87468(a)(6). Administrators Margaret Eldred Camara and Judith Pardo-Soto stated that Margarita is not allowed any visitors without approval from Deputy Public Guardian Jennifer Empasis, which is a violation of 22 CCR 87468(a)(11). Empasis instructed the administrators to call police if anyone asked to visit Margarita. Margarita’s relatives state that phone calls to Margarita are often blocked, which is a violation of 22 CCR 87468(a)(14). Advocates were not allowed to conduct a welfare check or determine whether Margarita receives adequate care. Flagrant violation of personal rights leads advocates to wonder what sort of conditions are hidden behind locked doors. (6) To leave or depart the facility at any time and to not be locked into any room, building, or on facility premises by day or night. This does not prohibit the establishment of house rules, such as the locking of doors at night, for the protection of residents; nor does it prohibit, with permission of the licensing agency, the barring of windows against intruders. (11) To have his/her visitors, including ombudspersons and advocacy representatives permitted to visit privately during reasonable hours and without prior notice, provided that the rights of other residents are not infringed upon. (14) To have reasonable access to telephones, to both make and receive confidential calls. The licensee may require reimbursement for long distance calls. The Personal Rights notification has been a required part of every resident’s file since 2005. There is no justification for any facility to violate residents’ personal rights. “…Margarita Zelada’s conservatorship was based on false allegations by Jennifer Empasis. The conservatorship has been characterized by unbridled abuse of power and violations of rights under color of law. The lives of both Margarita Zelada and Patricia Conklin have been irreparably harmed by Ms. Empasis. Ms. Zelada and Ms. Conklin have suffered enough at the hands of the Public Guardian. Ms. Zelada asks for her freedom from those abuses. Ms. Conklin asks for her property to be returned and the harassment to cease. Advocates request a thorough investigation of abuses of power.